Blogging has been around for some time now and is still going strong. Everyone’s making a blog these days, from big industry companies to the bored and innovative teenager down the road. It’s become one of the most effective ways for people and businesses alike to get themselves known, sell their stuff and generate customers and followers. Journaling isn’t the only form blogging can take. It’s also a wonderful platform for studio art, web design, music, journalistic and creative writing, and more. Whatever you do for a career or hobby, blogging is an excellent way to spotlight it, and share it with other enthusiasts. It’s the best place to begin building your platform. You can’t make a career out of your art without a base. If you want to become a known artist, now is the best time to build your platform, and a blog can be your blueprint. From there you can link your blog to social media like Facebook and Twitter so that other people and businesses may have a virtual connection with you. Blogging provides an interactive and cutting-edge display of who you are and what you do. If you’re an expert in something, share what you know with the world. 81% of US consumers trust advice and information they read on blogs, and 90% find the content useful. If you have something useful to share, there will be people who wish to read it. You won’t just be discovered by readers and consumers, but by valuable individuals who can open up opportunities that may otherwise never have manifested. Not long after I created my personal writing blog, I was contacted by someone who was creating a magazine and wanted me to write for it. You never know who you might (virtually) meet. 14% of bloggers earn a salary through blogging. On an annual average, bloggers make a little over $24,000. Even the simple hobbyist blogger can make some extra cash by applying CPM (Cost-Per-Thousand impressions) advertising and pays per click, in which you’re paid every one thousand times an ad is viewed on your blog or how many times the ad is clicked. Who wouldn’t say yes to that? They say one of the best ways to learn more about something is to teach it. If you’re interested in learning more about a certain subject, blog about it. The only way to write good content is to know what you’re writing, so you’d have to research and become more knowledgeable on the subject. 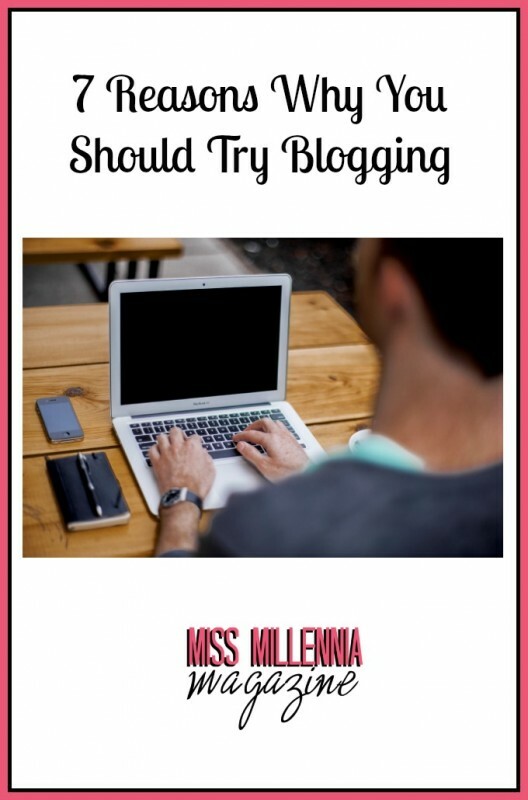 Blogging could teach you just as much as school. You’ll develop your writing skills. It doesn’t matter whether you’re a writer or not, having good writing skills is a plus in any position. Since blogging is all about writing good content, it’s a great way to develop the skills that will help advance you in any professional setting. Whatever your motivation to blog, either for personal musings, for your company or someone else’s, it’s a powerful avenue for extending and claiming your place in the world. Try it out some time. If anything else, you’ll surely have fun!